Japan's Hitachi is moving to purchase the power grid business of Swiss engineering giant ABB for a deal worth as much as $7.05 billion, local media has reported. 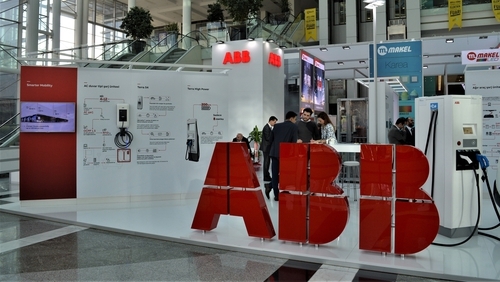 The electronics giant is in "the final stage of talks" to acquire the ABB unit for up to an estimated 800 billion yen, the Nikkei business daily and Jiji Press said. Hitachi confirmed at its board meeting today the plan to move forward with the deal and the two firms are expected to reach a final agreement as early as this week, according to the Nikkei. A Hitachi spokeswoman declined to comment, while ABB said it is "in discussions with Hitachi to expand and re-define the existing strategic power grid partnership between the two companies." "There can be no certainty that any transaction will occur, or as to the timing, structure or terms of any transaction," ABB said in a statement. ABB's power grid unit manufactures and operates infrastructure including power transmission equipment and control systems in multiple countries. The two companies announced in 2014 plans to set up a joint venture to market power transmission equipment in Japan. The Nikkei said Hitachi plans to initially take a stake of around 50% in the power grid unit and over the next few years turn it into a wholly-owned subsidiary. The deal would make Hitachi the world's second-largest heavy electrical equipment maker by revenue, behind only General Electric, the paper said.